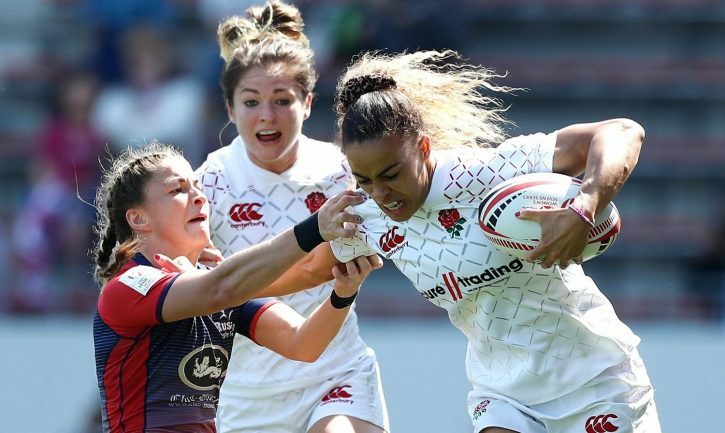 England Women Sevens ended day one of the Rugby World Cup Sevens in San Francisco with a 59-0 victory over Mexico and will face China in the Challenge semi-final at 6.14pm (BST) on Saturday 21 July. Earlier on the opening day of the tournament England were defeated 14-19 by Ireland which meant that they were unable to progress to the Cup stage of the competition. Against Mexico Jess Breach stretched down the left flank unopposed and was able to give England an early 7-0 lead. England’s dominance continued from the restart as Deborah Fleming scored her first try of the tournament, followed moments later by Emily Scarratt. Breach continued the momentum and crossed for a second followed shortly by Holly Aitchison to make it 33-0. England confirmed their place in the Challenge semi-final through second half tries from Heather Fisher, Breach, Claire Allan and Vicky Fleetwood. In their tournament opener Ireland claimed the game’s first try through Ashleigh Baxter but England regrouped and struck back via Scarratt. A successful conversion gave England a 7-5 half-time lead. Amee Murphy Crowe put Ireland back in the game at the start of the second half running in two tries inside two minutes to make it 7-19. Captain Abbie Brown responded by weaving her way deep into the Irish 22. The ball was recycled and Alex Matthews was found in space to cross the whitewash. 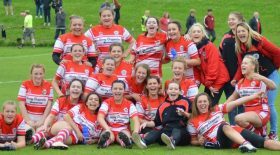 The extras were added to make it 14-19 at full-time. England Women Sevens head coach, James Bailey commented: “We’re disappointed to have lost out to Ireland in our first game but huge credit to them – they played really well.